Browse » Home » Coupons » Kellogg's bar coupon - on sale at Publix this week! Kellogg's bar coupon - on sale at Publix this week! 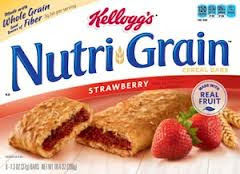 Here's a hot new coupon - $1.00 off on any TWO Kellogg's® Special K® Bars, Pastry Crisps and/or Kellogg's® Nutri-Grain® Cereal Bars! Hope this helps you get some cheap and healthy snacks!